The first designer bag I ever owned was a nylon Kate Spade messenger bag my parents got me for my sixteenth birthday. Like most girls who got the bug early, my irrational belief that you really can never have too many bags has lead me to many memorable purchases in my life. Logic would tell you that I have more (and more very nice) bags than I could ever need. And yet—fresh designs and new shapes come along; trends shift. 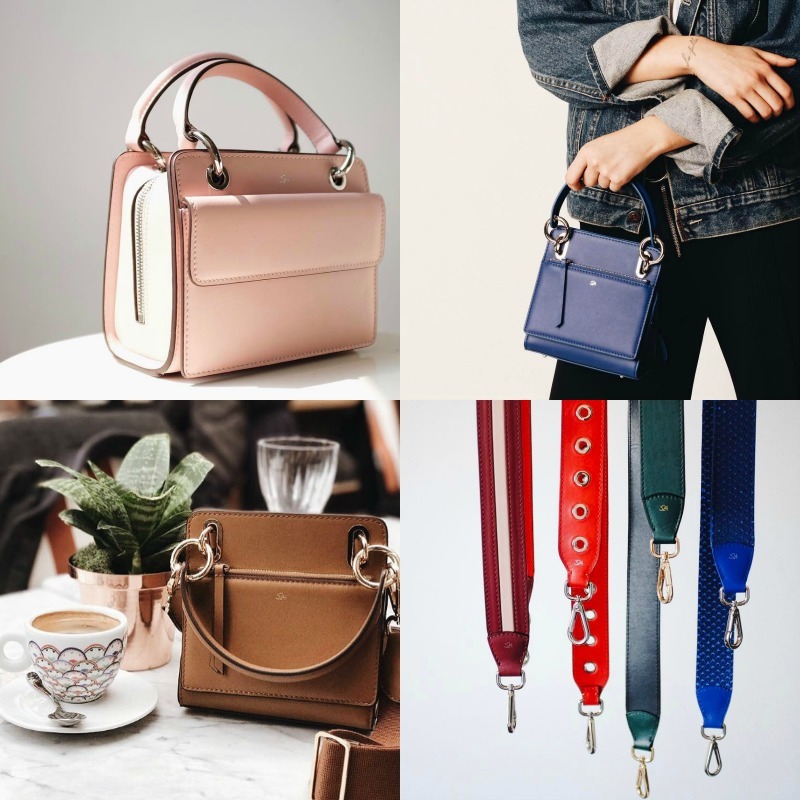 Whether you're a bonafide bag lady like me or you're just in the market for something that combines form and function to fit your life—read on! Once again (and just like Stone and Strand) 324 New York was an Instagram find. One of those algorithmic geniuses at Instagram/Facebook knew my taste level and hit me hard with that sponsored 'gram. It worked, and here we are. They got the follow, a big fan and most likely a new customer, too. According to the brand's website, 324 New York was conceived by its founder and creative director as the answer to a question she kept asking herself, "Why can't our bags change and evolve like we do?" Bike (BK) Bayer started her line with no technical design or production experience; she sketched her designs and took them to a manufacturer in Turkey and the process began. 324 New York includes four handbag designs, each of which can be adapted and updated with additional straps and pouches. The look of the collection is, in a word, rich. The Structured bags echo the look of designer It bags from Saint Laurent, Mansur Gavriel and Loewe; they feature bold silver or gold hardware, subtle branding and versatile, alluring colors. But here's the kicker—what makes sets these bags apart from the "everyone has it" pack. The detachable pouches and multiple straps allow you to wear each one multiple ways. The Mini and Midi bags each come with top handles, a long leather strap and a long canvas strap, which can all be interchanged.